This Cemetery or Burial Ground was founded in 1867, and we understand it is still open. 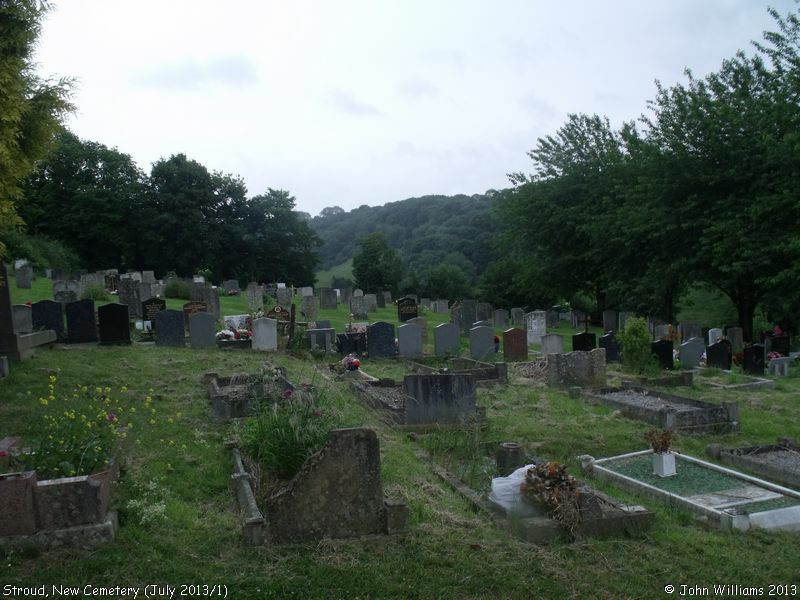 Stroud Cemetery, off Bisley Road was developed more than 150 years ago, after the other cemeteries in the town had become dangerous to health. The Burial Board set up for provision of the new facilities consisted of four Orthodox and four Nonconformist members. William Lewis a pauper from the workhouse was the first person to be buried here, on 4th September 1856. Between then, and the end of 1869, a total of 1,500 burials took place, of which two thirds were in consecrated ground, and one third, including 54 Roman Catholics were in the unconsecrated portion. A number of Stroud's historic figures are also buried here. These include former MP Sir John Dorington, industrialist George Holloway and Sidney Park, a local draper, who gave Park Gardens to the town in memory of his son who was killed in the First World War. The Cemetery is in two parts. The original purchase of land was of 6 acres of land, part of a wood called "The Conygear", on which were erected two chapels (side by side) with a central spire, and an entrance lodge. These are visible from the Bisley Road. In 1867 another part of the Conygear was bought, consisting of a cottage and three acres and thirty-three perches of land, which became known as the "New" Cemetery. The two plots lie on either side of a road leading to an area known as "The Horns". Stroud New Cemetery, Stroud shown on a Google Map. Information last updated on 8 Nov 2018 at 17:09. 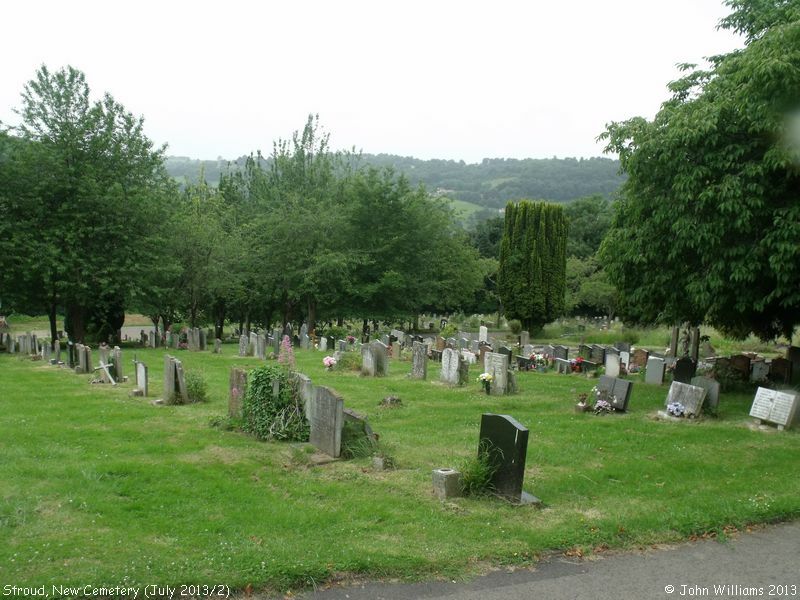 Please also remember that whilst the above account may suggest that Stroud New Cemetery remains open and accessible, this may not remain so. This Report was created 27 Mar 2019 - 11:12:36 GMT from information held in the Gloucestershire section of the Places of Worship Database. This was last updated on 7 Feb 2019 at 07:45.